Mahé, the largest and most commercial island in the archipelago, is only about 17 miles long but boasts 75 fine beaches that are often uncrowded, if not altogether deserted. Praslin, which has been called the “blueprint for the perfect tropical island,” also has a couple of world-class strands in Côte d'Or and Anse Lazio. But when you think of Seychelles beaches, chances are the image that comes to mind is of the spectacular boulder-bordered shores at Anse Source d'Argent, on La Digue. Anse Source D'Argent, the second best beach in the Seychelles is also one of the most popular. The coastline is a series of small crescent pink sand beaches separated by gigantic granite boulders which are famous for their unusual curves worn by time and weather.. The beach is sheltered by a reef, ideal for snorkeling and sun bathing. The calm waters make it perfect for the little ones. Anse Source D'Argent, voted numerous times the 'best beaches in the world', is also one of the most photographed beaches, featured in numerous travel magazines as well as travel programs. Anse Source D'Argent is located on La Digue, one of the principal islands. La Digue manages to be tropical, homey, understated and classy all at once, without sprawling resort hotels, grand casinos and bustling sport activity centers. If you find it hard to tear yourself away, don't say we didn't warn you. However, you can explore the coastline for hours and hours. The Seychelles was once thought to be the location of the Garden of Eden, and Anse Source D'Argent almost leaves no doubt — you just may be tempted to cancel your return home. Notes - probably the most photographed beach in the world. Recommend a beach tour starting at Grand Anse - beautiful, but not safe for swimming - then on to Anse Cocos, (there's a nice path). Take your time and take in this spectacle. Praslin is the second largest island in the Seychelles and the most popular with tourists. Why? 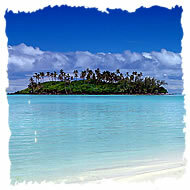 Soft white sand beaches and crystal clear turquoise waters surround the small island. The Best Beach in the Seychelles goes to Anse Lazio. 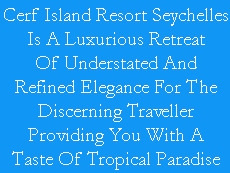 Situated on the north west corner of Praslin in Bay Chevalier, it is a perfect crescent of soft, fine grained sand. The beach is relatively deep, from the fringe of Takamaka trees and palms to the waves of the warm Indian Ocean. To the right of the beach you'll see the craggy deserted Pointe Chevalier. Bounded on the other side by the curve of the island, you feel secluded. This is why year after year Anse Lazio is voted "the best beach in the world" by numerous travel publications and newspapers. Don't miss this. Travelers make a special day trip to Praslin just to see it. The guide books talk it up as if it is the eighth wonder of the world. This is it - the top beach in the Seychelles: Anse Lazio on the isle of Praslin. Notes - can have large waves - snorkeling good.